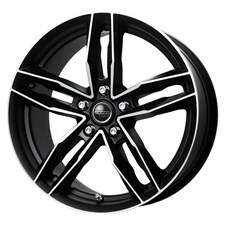 The Rosso Ruote car rims were created from our strenuous research for novelty and innovation. Pay attention to details, engineering, trendy lines resulting from an all Italian style. The avant-garde finish, as well as high quality, guarantees a product of distinction. The end result allows the car to be personalized in both an elegant and distinctive manner.